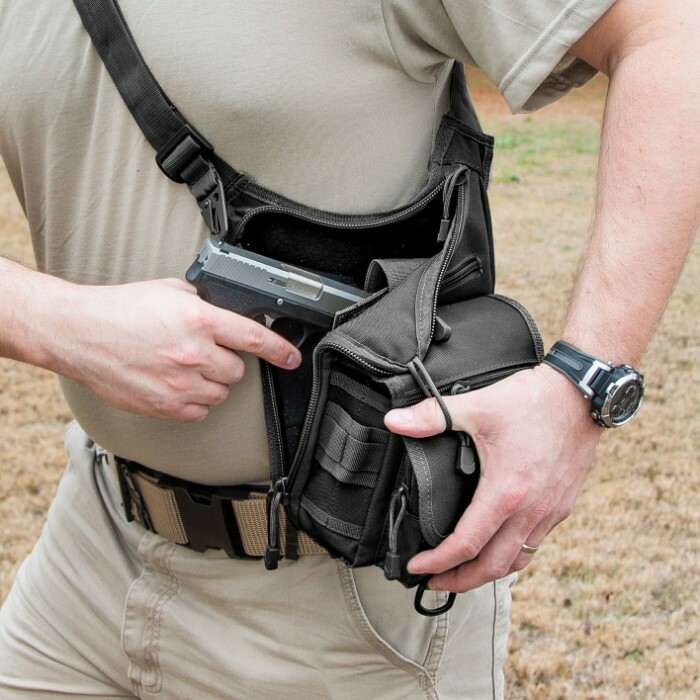 This tactical-grade handgun bag / carry-all from M48 is stylish, rugged and represents one of the most versatile concealed carry solutions available! 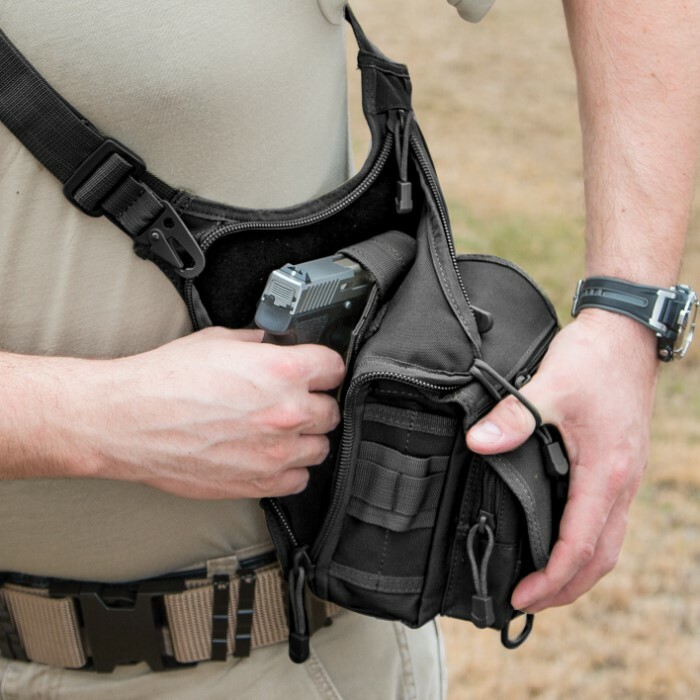 Compact, comfortable and easy to carry, it's perfect for everyday handgun transport, with a wide, fully adjustable shoulder strap and even a separate belt loop. 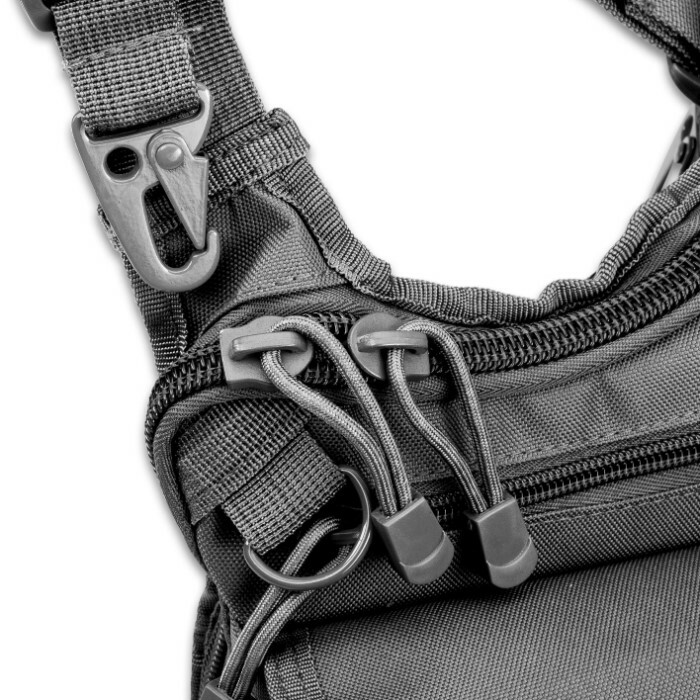 But it's also exceptionally tough - built to withstand the rigors of back country recreation, tactical operations and more. 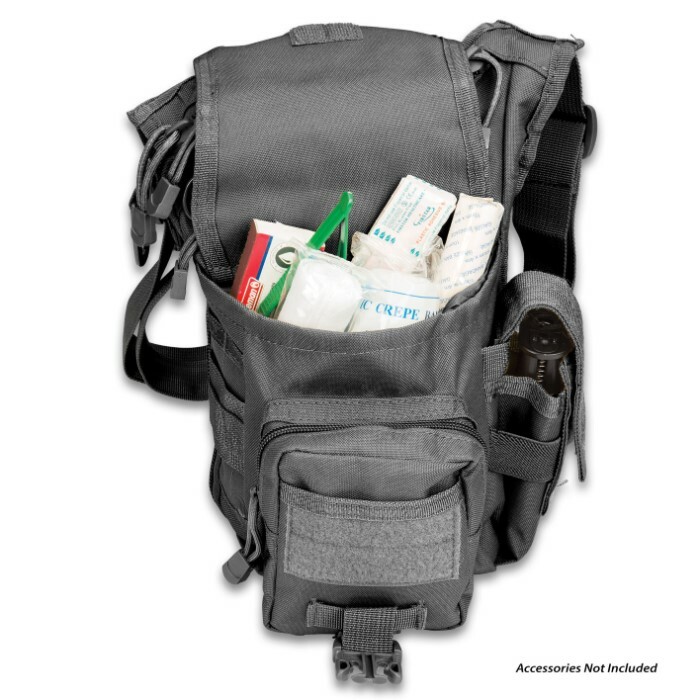 Great for more than just concealed carry, this handy shoulder bag includes multiple secure compartments for all manner of gear, from firearm accessories to office supplies. Going on an overnight business trip? 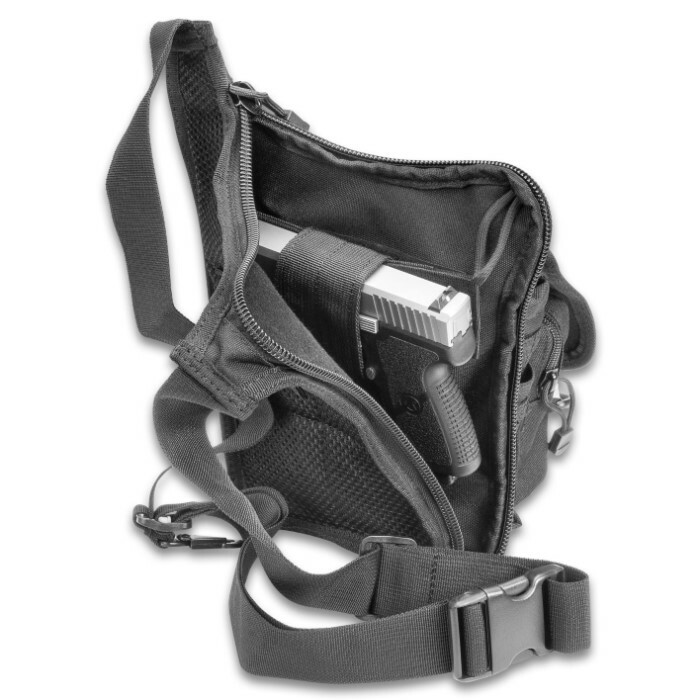 Secure your trusty handgun in the back panel compartment's elastic pistol sleeve, slide an extra magazine in the side pocket, stow ammo in the front and/or middle zippered compartment, clip your keys to one of the stainless steel D rings, and toss toiletries in the middle drawstring pouch. 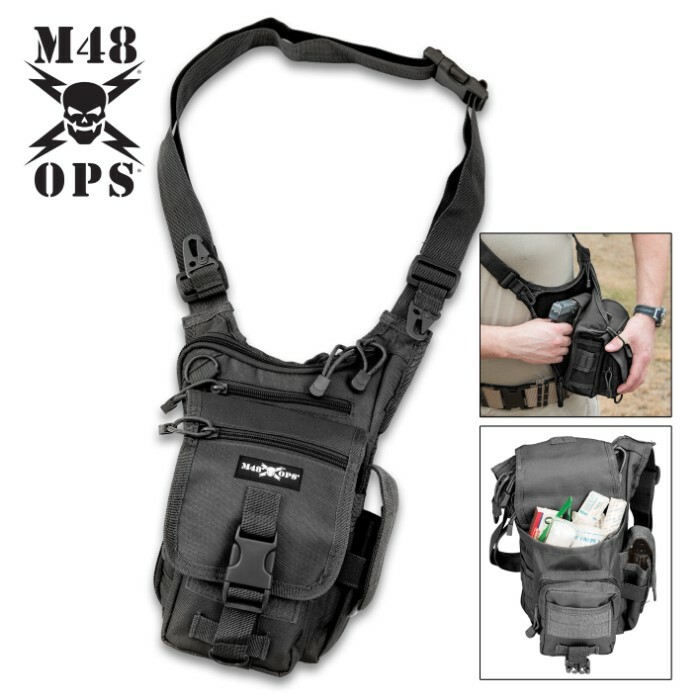 This is just one example of countless; with this multitalented bag from M48, the possibilities are practically endless! 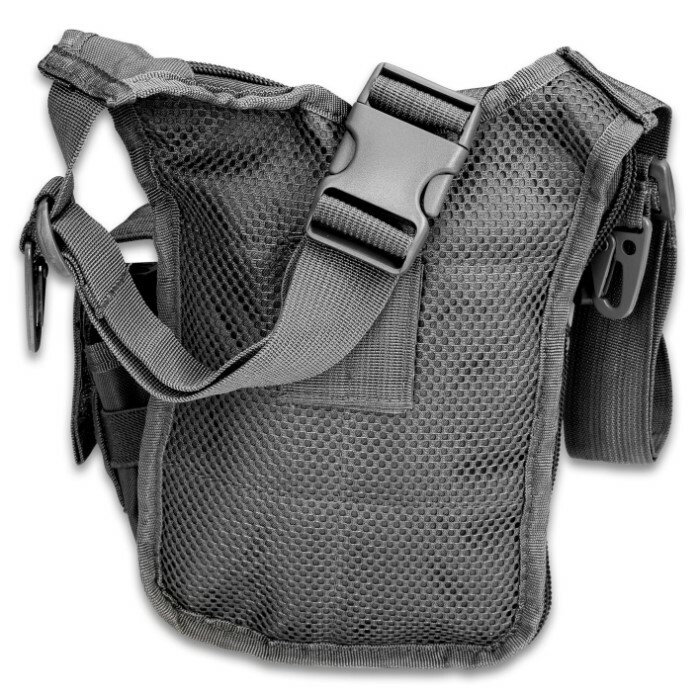 I bought this bag to carry a gas mask, but it has enough room for everything I need to carry for range days! !